Store: Automatically upload photos and videos from your mobile phone to your Pogoplug Cloud--no sync required. Share: Instantly share anything in your cloud through email, Facebook, Twitter and Google+. Create shared folders and collaborate with friends and colleagues. Offer details: Offer is fulfilled by Cloud Engines Inc., a CNET Premier Partner. Offer is valid until 11:59PM PT on 11/16/2011 Cloud Engines Inc. is not responsible for any typographical errors on this webpage. Offer open to all CNET Members. 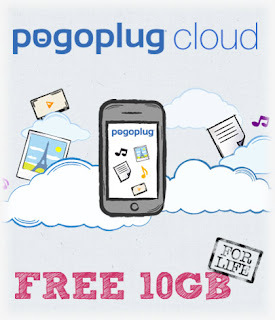 NOTE: This offer is from Pogoplug to Cnet subscribers. I am not in any way associated with both of them. So please don't make me liable for any losses you incur because of any eventualities.